Some Xiaomi products including smartphones, TVs, smart bands and more are selling with massive discounts on Mi.com, Flipkart and Amazon India store since Monday, February 11. The discounts are a part of Xiaomi’s ‘I Love Mi‘ Days sale. During the sale, some of the very popular Redmi phones are selling with massive discounts like the Redmi Note 6 Pro, Redmi 5 Pro, Redmi 6, and others. The I Love Mi Days sale will end of February 13 (today) on all the three online platforms — Mi.com, Amazon and Flipkart. During the ‘I Love Mi’ Days sale, the Redmi Note 6 Pro, Redmi Note 5 Pro, Poco F1, Mi TV 4A Pro series, Redmi 6, Redmi 6 Pro and other Xiaomi products are selling for the lowest ever prices. Looks like the Chinese manufacturing company is planning to empty stock of the old phone before launching the new 48MP camera Redmi Note 7. 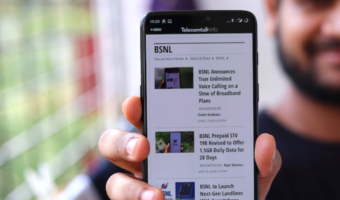 Xiaomi India hasn’t still revealed the launch date of the Redmi Note 7, but reports suggest that the phone may go official next month, in March and not February. During the I Love Mi Days sale, the Redmi Note 6 Pro 4GB RAM and 64GB storage model is selling for Rs 12,999. The 6GB RAM and 64GB storage variant of the Redmi Note 6 Pro is available for Rs 14,999. In addition, three variants of the Poco F1 will also be on sale with a discounted price. 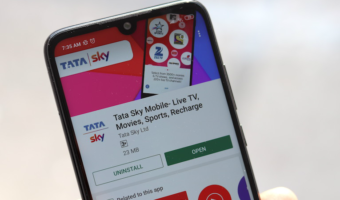 The 6GB RAM and 64GB storage model of smartphone is selling for Rs 17,999, the 6GB RAM and 128GB storage model for Rs 20,999 and the 8GB RAM and 256GB model for Rs 24,999. The discounted prices of the Poco F1 are all inclusive of the extra exchange offer that the phone is selling with. The Redmi Note 5 Pro 6GB RAM and 64GB internal storage model is selling with a discount after which the phone is available for Rs 12,999. There are exchange and bank offers as well. 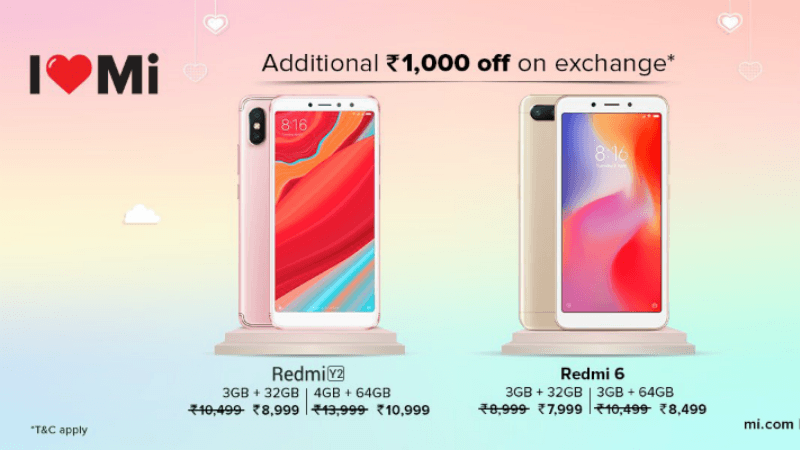 In addition, the Redmi 6 also gets discounted. The 3GB RAM and 32GB storage variant of the Redmi 6 is selling at a reduced price of Rs 7,999. The 3GB RAM and 64GB storage model sells for Rs 8,499. The Redmi Y2 also gets discounted but only until the sale ends. The 3GB RAM and 32GB storage model of the Redmi Y2 is available for Rs 7,999. Meanwhile the 4GB RAM and 64GB storage model of the Redmi Y2 is available for Rs 9,999. Other Xiaomi products like Mi TV 4A, Mi Bands, Mi Power Banks are also selling with big discounts during the I Love Mi Days sale. The Mi TV 4A Pro (2019) is selling for Rs 30,999, Mi TV 4A Pro 55-inch for Rs 49,999, Mi TV 4X Pro 55-inch for Rs 39,999, and lastly the Mi LED Smart TV 4A 32-inch for Rs 12,499 and 43-inch of the same Mi TV model for 22,999. During the sale, the Mi Power Banks sell for as low as Rs 899, Mi Accessories for Rs 249, and Mi Smart bands for Rs 1299.